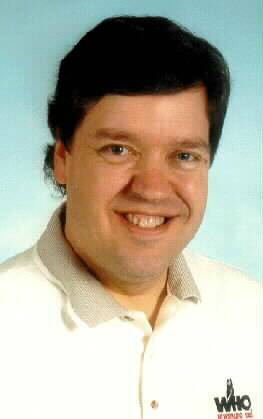 For over 25 years, Van Harden has been one of Des Moines' most listened to and best loved personalities. 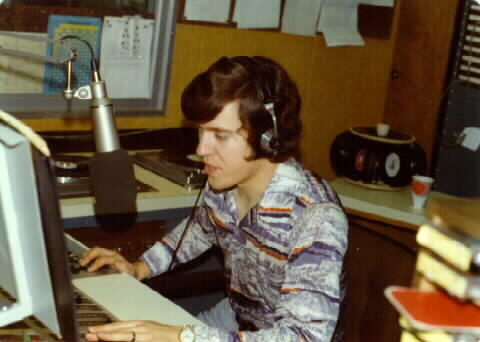 His Des Moines career began on the overnight shift at KRNT in February 1975. Van inaugurated the station's move to operation 24 hours a day. His overnight shift was short lived, as soon he was moved to middays on KRNT -- Noon to 3:00 PM. He also worked Sunday morning at KRNT, handling among other duties the long-running "Hymn Time", which was sponsored by Anderson-Erickson Dairy and a program in which Mr. Erickson took a personal interest (very traditional hymns were the rule for this hour-long program). In the early 1980s Van left radio to pursue other interests. Soon, he returned to KRNT and the mid-morning/day shift. He continued to attract listeners with his personality, humor and good nature. On several occasions WHO Radio called, but Van was not willing to leave KRNT. Finally, the offer that WHO made was attractive, and he moved to the 50,000 watt clear channel voice of the middle west where he has been the early morning host for over a decade. Van and his co-host Bonnie Lucas (another former KRNT employee) begin each Monday through Friday morning at 4:59. Their program features a variety of news, sports, farm information, and general talk about the day, current events, and all sorts of personalities and individuals. Van has said that the original idea for the morning program on WHO was something along the lines of "Morning Edition" on National Public Radio, but it has evolved into something entirely different. The program features two small town Iowa kids who are just trying to make it in the big city. That resonates with a lot of listeners, not only in the Des Moines metropolitan market, but around the state. Van Harden grew up in Adel and attended Drake University. While at Drake he worked at KDLS in Perry, Iowa. Upon graduation, he moved to Tulsa, Oklahoma, and was at KWEN, a beautiful music station. Van and Bonnie win a coveted Marconi award -- October 2007. Van Harden at KWEN, Tulsa, Oklahoma -- beautiful music format. "All elevator music...all the time." *Special thanks to WHO's Steve Locker for the KRNT 1st Show and KWEN aircheck.